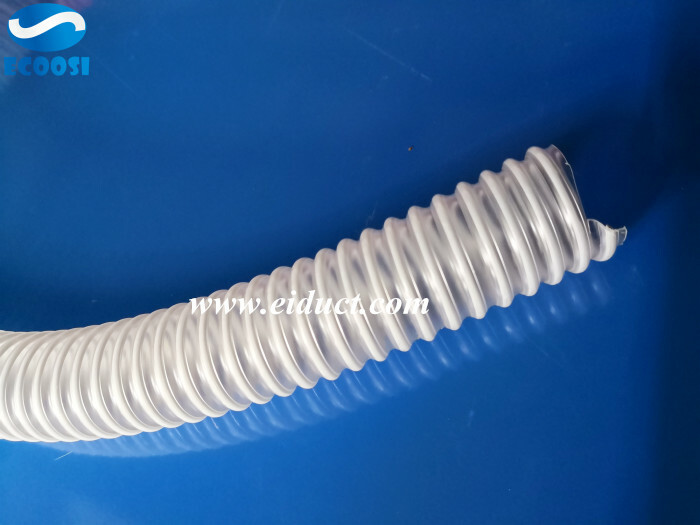 Ecoosi flexible PVC clear steel wire helix duct hose is economical, durable, good chemical resistance and available in various grades because it is used for many commercial applications. According to the hoseline, this flexible PVC clear dust collection hose is probably one of the most versatile duct hose types on the market. 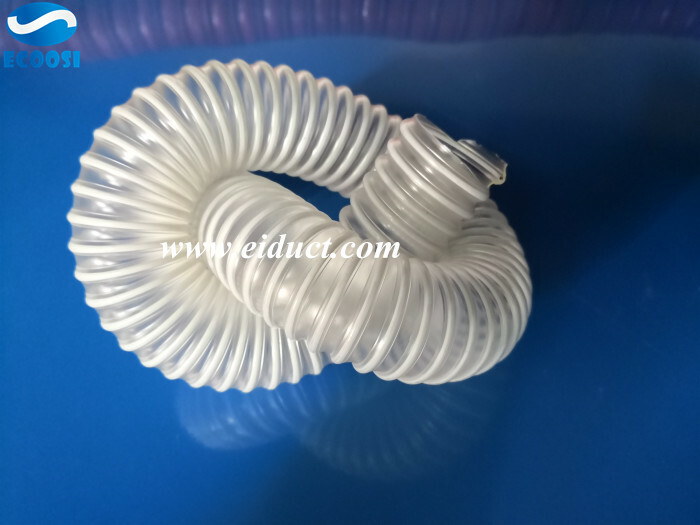 This flexible PVC clear steel wire helix duct hose can be used to move air in portable A / C, carry dust in woodworking, transmit paint fumes, or transport bulk materials in agricultural applications. The combination of flexibility, durability and chemical resistance to the PVC flex hose enables them to function remarkably in a variety of applications in different applications. 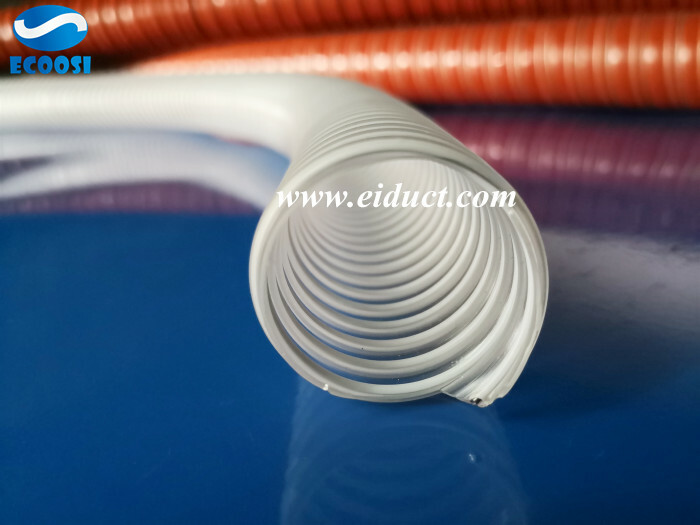 Ecoosi PVC clear flexible steel wire duct hose is not only economical, but also gives the construction material resistance to many elements to make it an excellent alternative to other ducting shapes. Unlike similar metal ducting products, this flexible PVC dust collection hose is resistant to abrasive materials, which can be extremely destructive for most metal hoses. Chemical stability is a common feature among substances containing halogens such as chlorine and fluoride. This also applies to PVC resins with oil / chemical resistance. Because of this excellent chemical resistance, Ecoosi flexible PVC clear duct hose is often used in applications involving the use of hazardous chemicals and fuels. 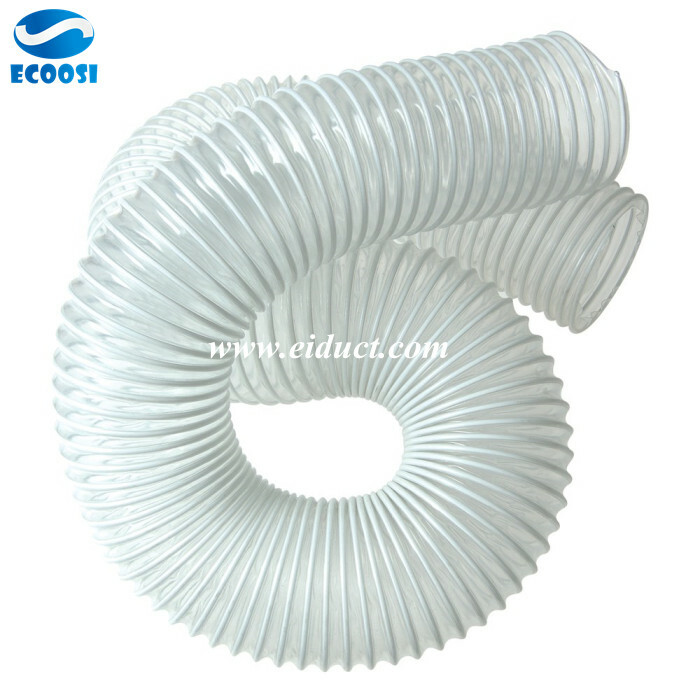 Ecoosi PVC clear flexible steel wire duct hose is inherently resistant to harmful chemicals and fumes, so this flex PVC duct hose can operate in a wide variety of situations. Whether you are in a lab floor with a floor duct or a light hose that allows ventilation hose in the attic, this flexible clear PVC ducting hose is superior for almost all situations. 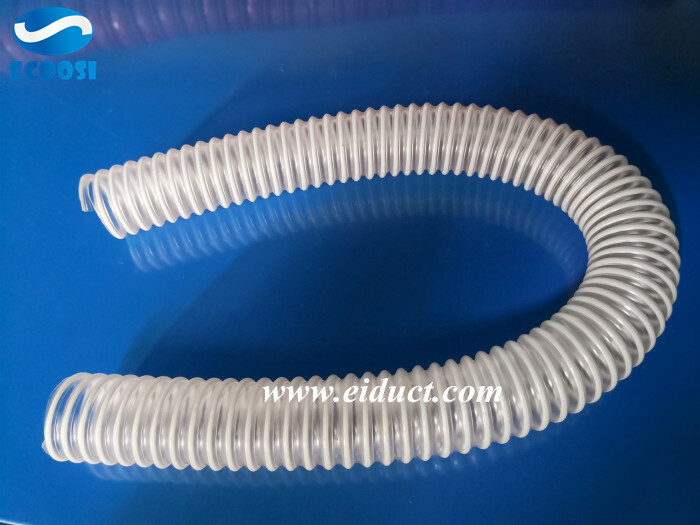 PVC clear flexible steel wire helix duct hose From Ecoosi Industrial Co., Ltd.
Pre：PVC Flexible Fabric Ducting Hose Working Next：How do you measure the PU flexible ducting hose diameter?